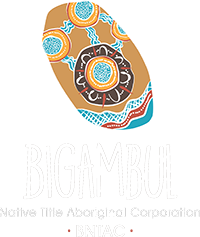 As part of its commitment to a strong and promising future for the Bigambul People, the Bigambul Native Title Aboriginal Corporation has partnered with Indigenous Workstars to pave the way toward meaningful employment for Aboriginal and Torres Strait Islander peoples across Australia. For current vacancies, please see below. MIGAS Apprentices and Trainees and Shell’s QGC business are looking for Indigenous Australians who want an introduction to the natural gas industry in the Western Downs. At the end of the Western Downs Indigenous Careers program, you’ll have the skills and experience to help you apply for Shell’s apprentice and trainee intakes and other jobs in the region. The program involves 10 – 12 months of paid employment with a Shell contractor while completing a Certificate II in Process Plant Operations or a Certificate II in Engineering Production Systems. A solid foundation to jump-start a successful career in your local community.